The answer depends on when fans came of age. Those in their 50s will hear the phrase “big heavyweight fight” and instantly recall 1970s images of Muhammad Ali, Joe Frazier and George Foreman. Those a decade younger might ponder early-1990s matches involving Evander Holyfield and Riddick Bowe. And those who claim membership in the millennial generation can look back on a wild night in Memphis when the fading legend of Mike Tyson intersected with the ascending one of Lennox Lewis. But what all might agree on is there’s not been much to move the interest needle since. While the Ukrainian-reared Klitschko brothers were marvels of modern-day physicality, neither Vitali nor Wladimir ever engaged the sort of foe who’d guarantee the meeting would transcend time. And when it comes to the space-filling likes of Nikolay Valuev, Samuel Peter and Sultan Ibragimov, don’t even bother. Still, after a decade of robotic dominance and alphabet mediocrity, there may finally be room for hope. Not only are two young, strong, unbeaten heavyweights capable of drawing a crowd and generating an ovation alone, but they seem at least mildly interested in getting together at some point, too. 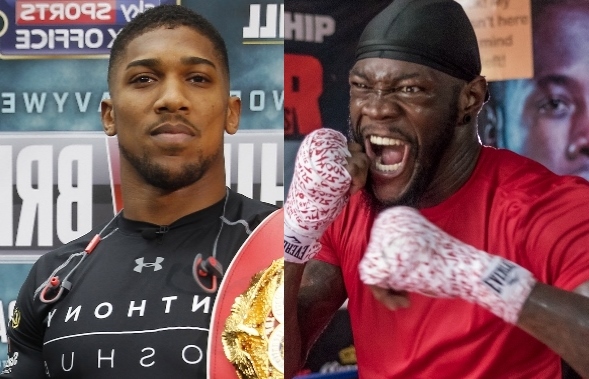 Ladies and gentlemen, we give you Deontay Wilder and Anthony Joshua. Or, if you prefer, the next big heavyweight fight that’s worth paying attention to. It’s a tantalizing prospect that the Englishman has expressed interest in as well. The 28-year-old joined the title-holding set with a quick blowout of IBF stand-in Charles Martin last year in London, then advanced his brand by inking a deal with Showtime ensuring the network will carry his next several fights to a fertile U.S. audience. And when it’s been his turn to chat, Wilder’s name has remained top of mind. The fight itself promises a clash of gargantuan proportions. At 6-foot-7 with the wingspan of a pterodactyl, Wilder has become the knockout poster boy of the big-boy division with 37 stoppages in 38 fights since striking bronze at the 2008 Olympic Games. And while his pre-fight shtick reminds exactly no one of a vintage Cassius Clay, he’s been comfortable enough in front of a mic to hold his own on the way to a return showdown with the man he beat for the title, Bermane Stiverne. Meanwhile, Joshua is no slouch at 6-foot-6, and none of his 20 opponents since the 2012 Games – including the aforementioned Wladimir – have heard the final bell. And perhaps the most lasting takeaway of his weekend obliteration of Carlos Takam in Cardiff, Wales was how at-ease he once again looked in a spotlight that included more than 75,000 raucous fans and live international television. Of course, it won’t happen immediately. Wilder’s no cinch to handle Stiverne this weekend in Brooklyn, and another fight or two for each man is likely even beyond Saturday night. But the superfight’s build-up will be identifiable the more they make sure to include each other’s names in their standard post-fight call-out spiels. And by the time Halloween 2018 arrives, today’s generation will have its own epic to look back on. Joshua's the only one of them who draws massive crowds Lyle. Wilder can't even draw a decent crowd in his home town, it's pathetic.